Part of the Bath collection, a great complement to the cork pieces that will leave your bathroom more than perfect! Shining your shoes is a task that is no longer carried out. However, shiny shoes are always the tip of a good presentation and appearance. But, if modern men have abandoned this object a long time ago, it is still indispensable for older men: as a gift for your father, father in law, uncle... they will love it!! !A useful object... but also a great decor element. 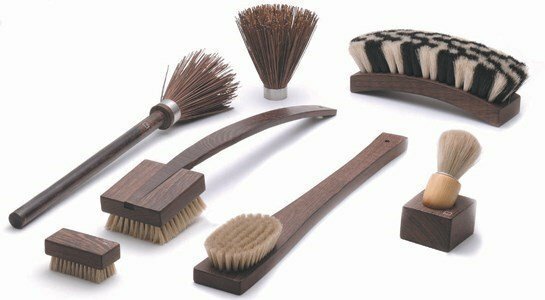 Shoe brush made of wenge wood and natural bristles.